Maryland Transportation Secretary Pete Rahn is pursuing Amazon.com Inc. with gusto as the retailer determines which state will be home to its second headquarters, HQ2. Rahn, who spoke at a Feb. 6 state Senate hearing, referenced Gov. Larry Hogan’s incentive package, which already has devoted $2 billion to unspecified transportation upgrades in an effort to attract Amazon. Hogan’s plan totals $5 billion in tax incentives and transportation improvements. Rahn initially claimed that Maryland is willing to offer Amazon a “blank check” for any infrastructure changes the company may need, a comment that a spokesman for the governor later walked back on his behalf. Rahn’s remarks come shortly after Hogan announced sweeping tax legislation as part of his incentive package. The Promoting ext-Raordinary Innovation in Maryland’s Economy Act of 2018, announced Jan. 22, provides a state income tax credit equivalent to 5.75% of wages for each qualifying headquarters job, a state and local property tax credit and a state sales and use tax exemption for construction material. Montgomery County, Md., is one of 20 locations that Amazon has selected for consideration to be the site of its second headquarters. The Maryland Department of Commerce will administer the Prime Act once it is signed into law. The legislation applies to a Fortune 100 company creating a new headquarters facility in the state with employees earning an average salary of at least $100,000 per year. 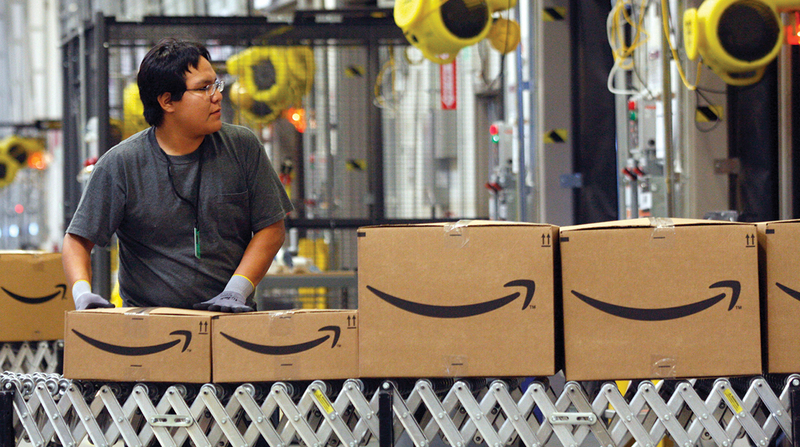 Other places Amazon is considering are: Atlanta; Austin, Texas; Boston; Chicago; Columbus, Ohio; Dallas; Denver; Indianapolis; Los Angeles; Miami; Nashville, Tenn.; Newark, N.J.; New York City; Northern Virginia; Philadelphia; Pittsburgh; Raleigh, N.C.; Toronto and Washington, D.C.